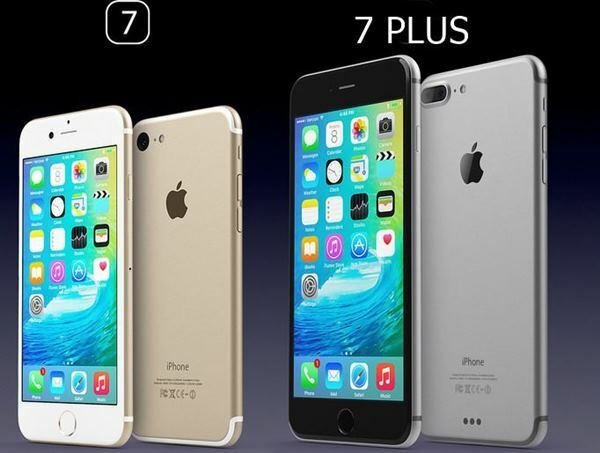 Apple iPhone 7 and iPhone 7 Plus launched in USA ON 7TH Sep. 2016. The pre-order starts from 9th Sept. and will be available from 16th Sept 2016 in (matte) black, jet (glossy) black, in addition to gold, silver, and rose gold colour option. The iPhone 7 price starts at $649 (approx Rs. 43,000) for 32GB and iPhone 7 Plus price starts at tarts at $769 (approx. Rs. 51,000) for the new 32GB. Apple also launched iWatch 2 at the Event. Phone 7 will launch in India on 7th Oct. priced at Rs 60,000 for 32GB, Rs. 70,000 for 128GB and Rs. 80,000 FOR 256GB respectively while iPhone 7 Plus at Rs 72,000 for 32GB, Rs. 82,000 for 128GB and Rs. 92,000 FOR 256GB respectively . Now up for pre-order through Flipkart and Amazon. Applr iPhone 7 and iPhone 7 Plus will launch in India on 7th Oct, 2016 price starts approx. Rs 60,000. It will counter Samsung Galaxy S7, Sony Xperia Z6 and HTC ONE M10. It runs on latest Apple iOS10 with iCloud and Apple’s latest A10 chip with 64-bit architecture, M10 Quad-core coprocessor to ensure superior multi-tasking with faster LPDDR4 RAM and 32GB/128GB/256GB Internal memory. For shooting New iPhone 7 comes with a huge 12-MP rear OIS camera with quad-LED with True Tone Flash, 6-element f/1.8 aperture lens and 4K resolutions using HDR image technology and 7-MP front camera fro selfi and video calling powered by a 31,00mAh battery with new advance Wireless charging system promising longer battery life including full display, Touch ID fingerprint sensor like iPhone 5S, Siri, Air Play, Air Print and cloud. It measures 138.30 x 67.10 x 7.10mm and weight is 138gm. It runs on latest Apple iOS10 with iCloud and Apple’s latest A10 chip with 64-bit architecture, M10 Quad-core co processor to ensure superior multi-tasking with faster LPDDR4 RAM and 32GB/128GB/256GB Internal memory. For shooting it comes with a huge 12-MP rear OIS camera with quad-LED with True Tone Flash, 6-element f/1.8 aperture lens and 4K resolutions using HDR image technology and 7-MP front camera fro selfi and video calling powered by a 31,00mAh battery with new advance Wireless charging system promising longer battery life including full display, Touch ID fingerprint sensor like iPhone 5S, Siri, Air Play, Air Print and cloud. It measures 158.20 x 77.90 x 7.30mm and weight is 188gm. At last few honest word, Apple iPhone 7, iPhone 7 Plus is going to change your life. What you think? Please be first to write a review.